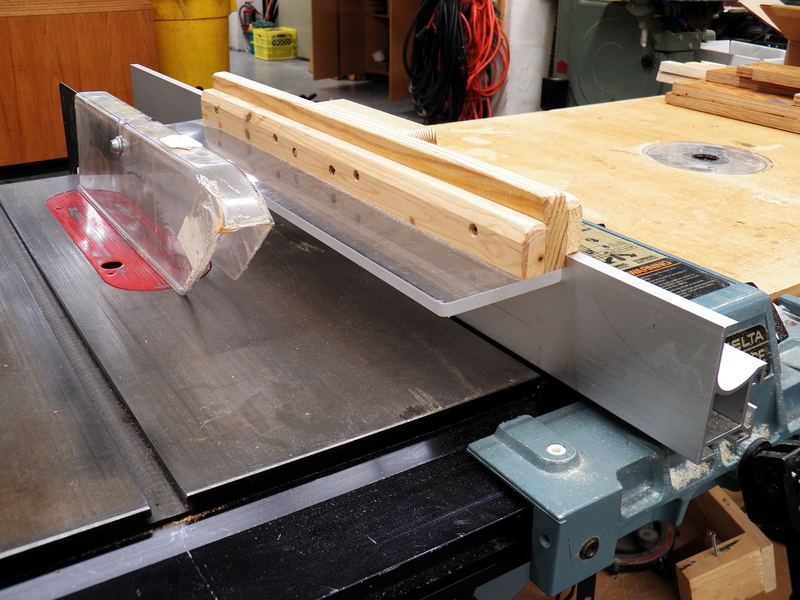 This acrylic guard blocks off-cut pieces from being hurled anywhere near the operator. Volunteers used to cut the corners off of thousands of short pieces of 2×4 to make toy boat hulls. The jig, not shown, for cutting the 2x4s had an extension to sweep the offcuts into a bin. This acrylic guard was there to stop the odd piece that the blade might have caught and thrown. The acrylic guard attached to the fence with a shop-made clamp made from wood.